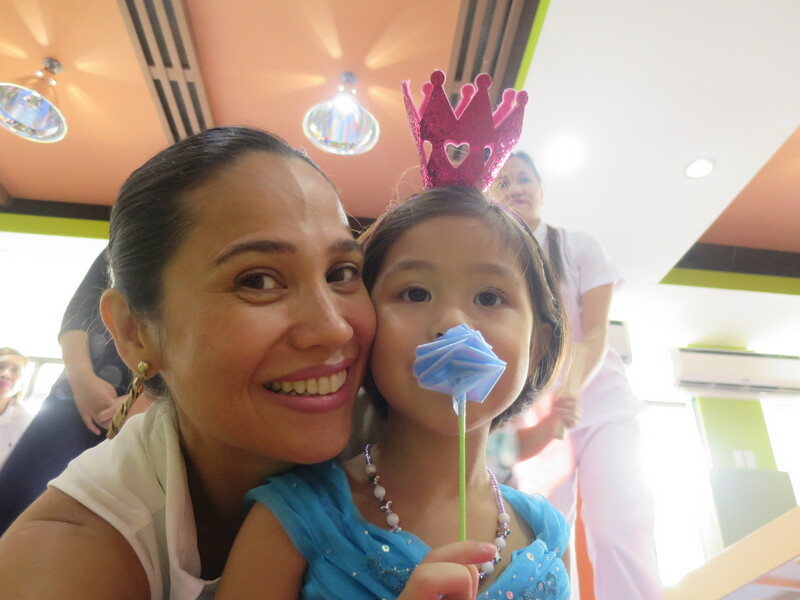 Mommy Maricel | Solana is 4! 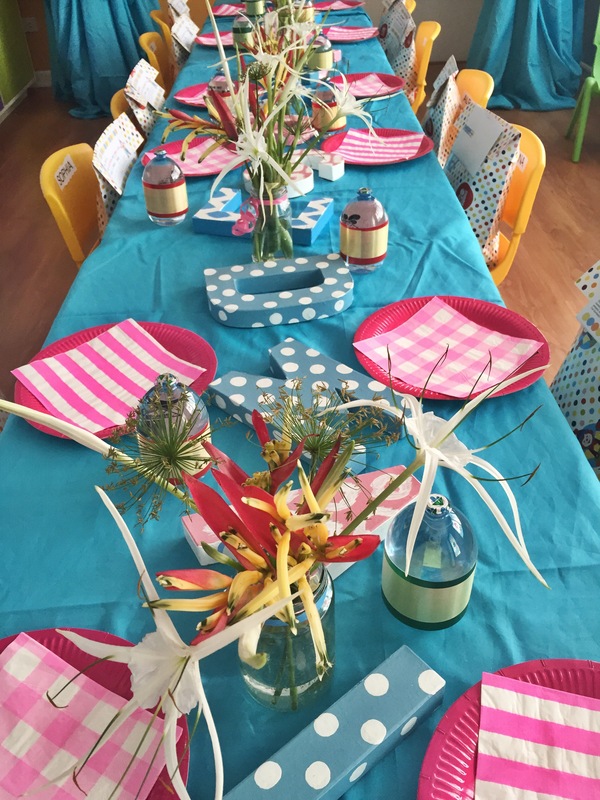 I seldom hold big parties for my children and so when we do celebrate, we try to make it very special. Solana specifically requested for a small party with just babies. She kept telling me “just for babies, Mama-okay?”. 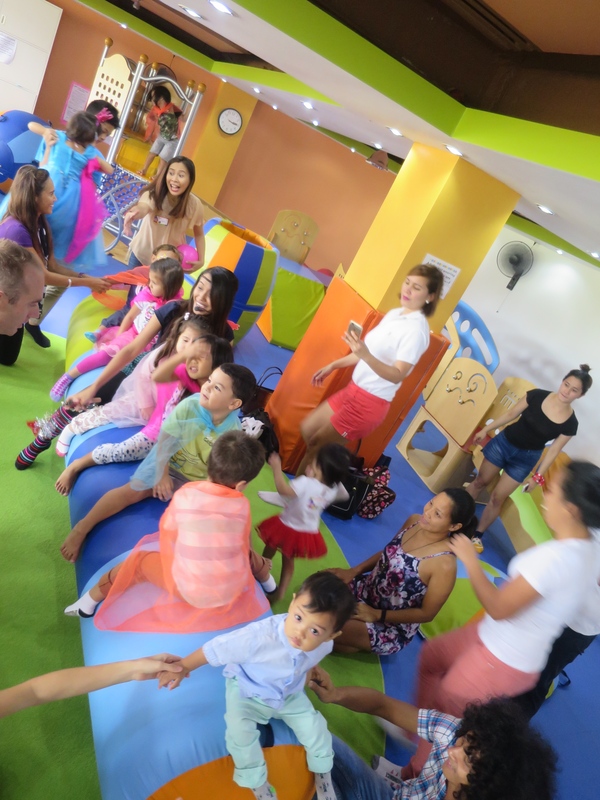 And so I made sure it would be just that-a small intimate gathering of precious little ones in a venue where they could be themselves and the parents, well- children for a day. 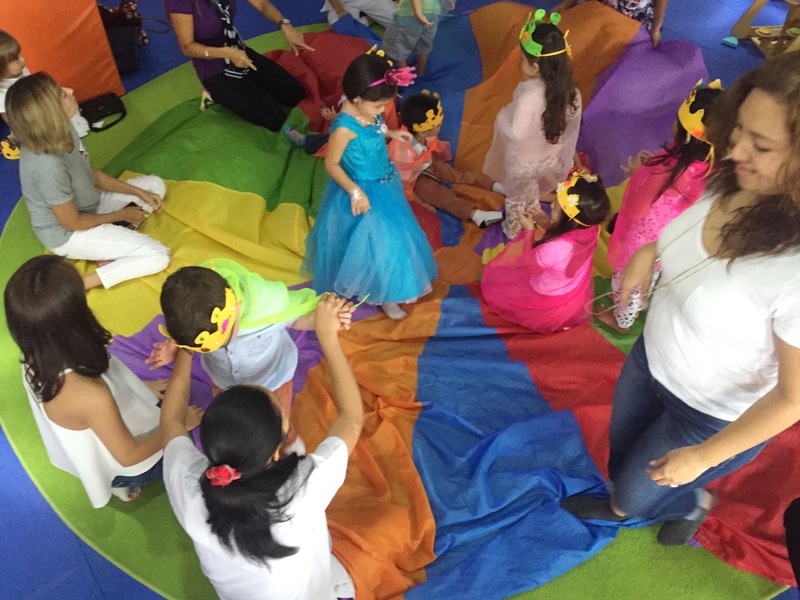 We had chosen to hold the party at Gymboree Sta. Rosa, Laguna, which is by the vicinity of our home. 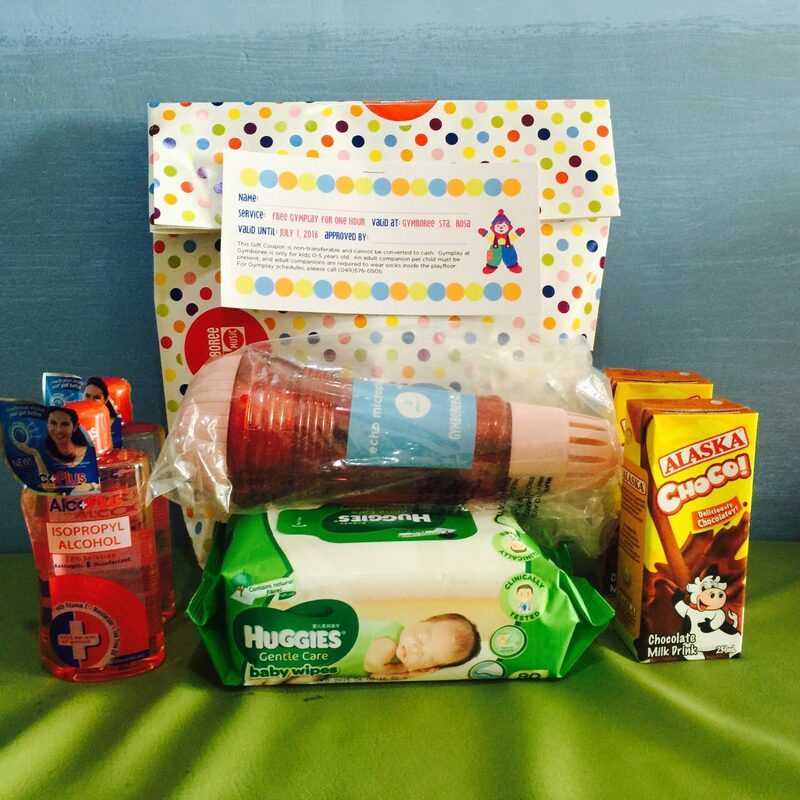 Since most of my children are big, I realised that it was a beautiful opportunity to bond with the community that our baby will grow up with. It is a blessing to find like-minded individuals desiring the same things for our children to grow together in harmony with one another. I couldn’t think of a better venue to hold the party because the minute the children set foot on Gymboree Sta. 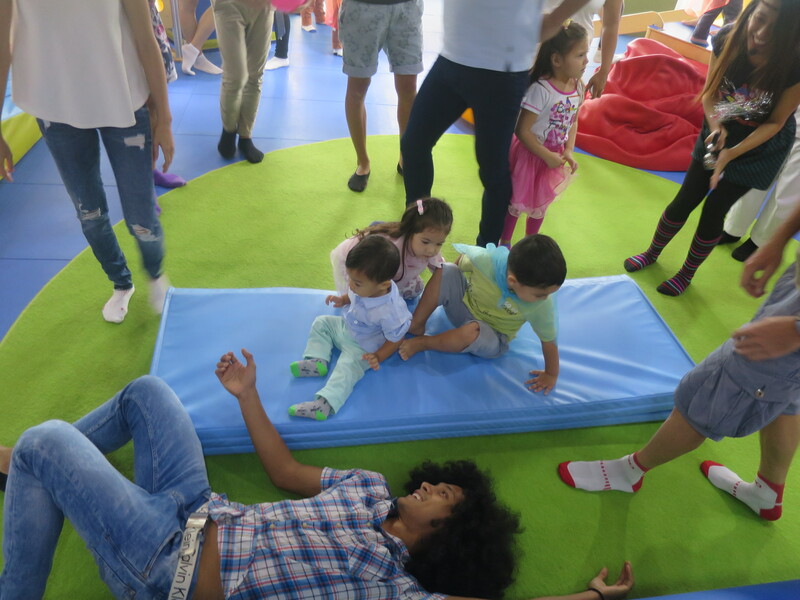 Rosa’s play area, they were ecstatically overjoyed and immediately went ahead to dive in their own world of adventure. Teachers Dew, Joanna & Rox placed their magic touches everywhere and also allowed my kids to take part in the set up and styling of the place. We followed a mood board that my daughter, Hannah made and coordinated with the teachers to make sure her color palletes for the party was consistent. Benjamin and I took turns in what was needed to decorate the place while watching Solana in between the whole preparation process. I am proud to say that everything that you will see here in the way that the party was styled is a labor of love of each one of us. 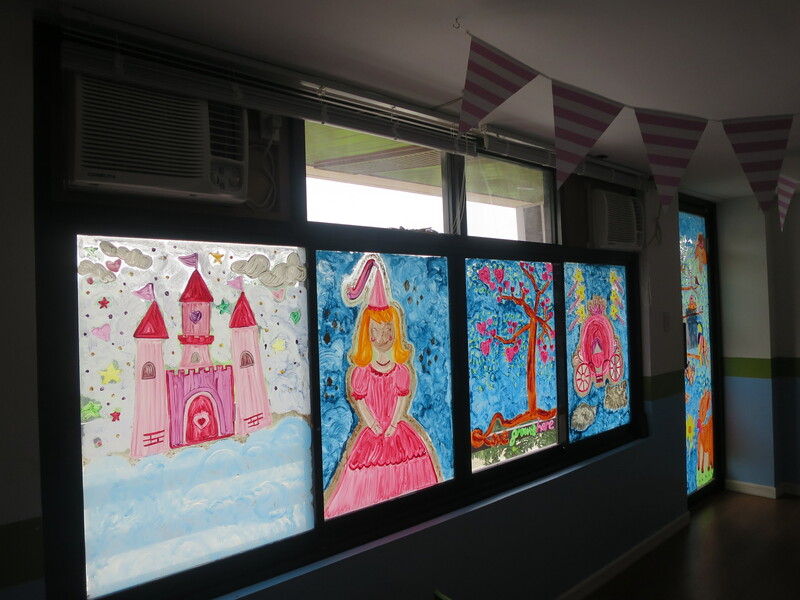 These paintings were done by Teachers Joanna and Rox as we wanted to grant Solana’s wish of having a simple princess party theme. I also got a lot of help from my friends, Hindy Tantoco and Gideon Hermosa who guided us every step of the way in terms of styling the activity and dining areas. We sourced the flowers on the long table in our village garden and the letters made of paper mache that we laid out were made by Takatak Project. They were actually the letters of the names of our guests. So, instead of using name plates, we used the letters to point out where they will be seated. They also were part of the giveaways for the kiddos and the parents got a kick out of this because they thought that they were only there as decorations. Most of the food were prepared at home by our Manang. The others were sourced from nearby towns and they were hits like the Felzar pancit topped with lechon (0495119427) and the suman and kakanins that were best-sellers and bought from Laguna and given by my friend, Margie Misolas of Tees & Things. We cannot go without Goldilocks for our birthdays and we just so love their vanilla chiffon cakes. 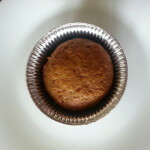 I actually am transported to my childhood days everytime I partake of their cakes during special occasions. 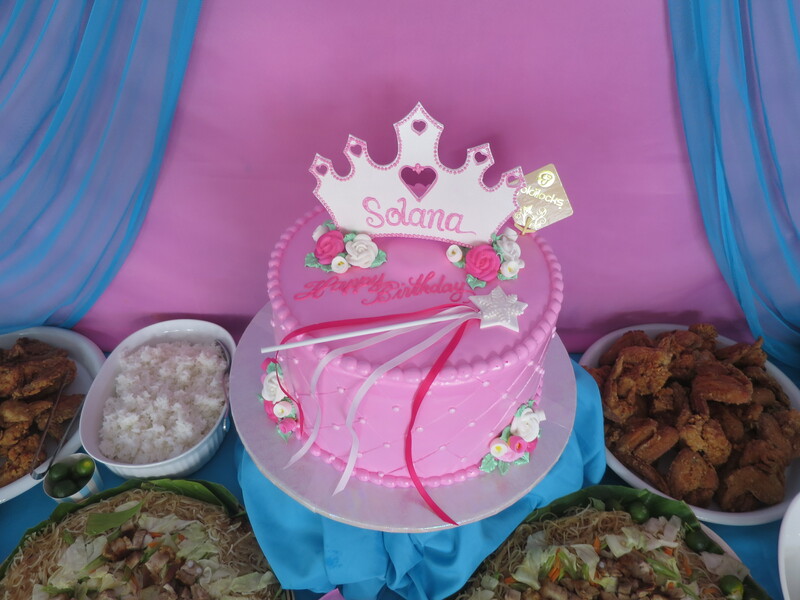 This particular cake design was chosen by Solana. 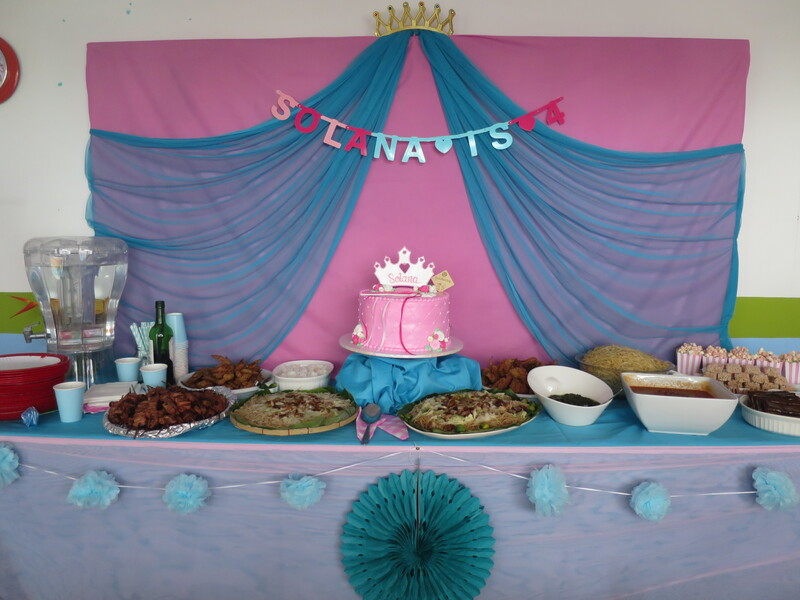 I had shown her a variety of designs online and she chose a simple princess motif which her sister, Hannah partnered with her own sweet concoctions. 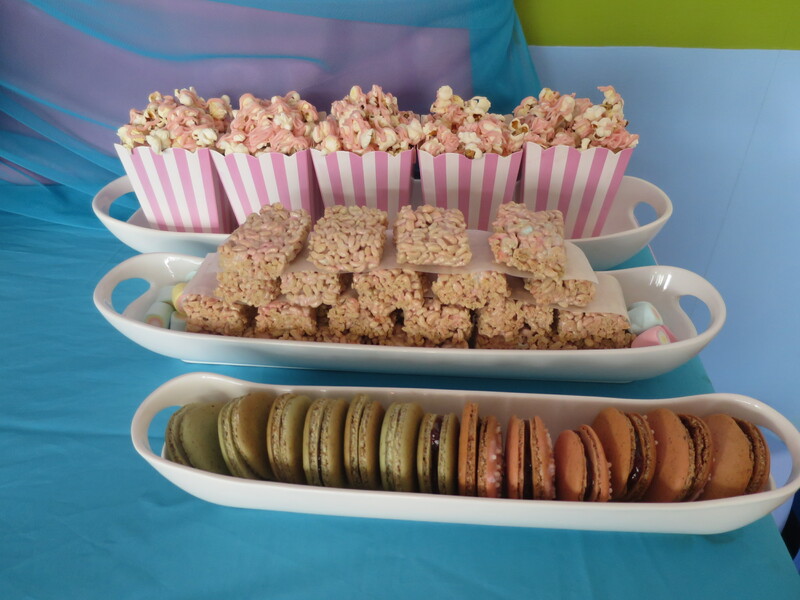 So aside from overseeing the look of the party and helping source materials for it from Celebrations Party Central, Hannah hardly slept to perfect her macaroons, rice crispies tarts and caramelized pink popcorn which were gone in an instant! 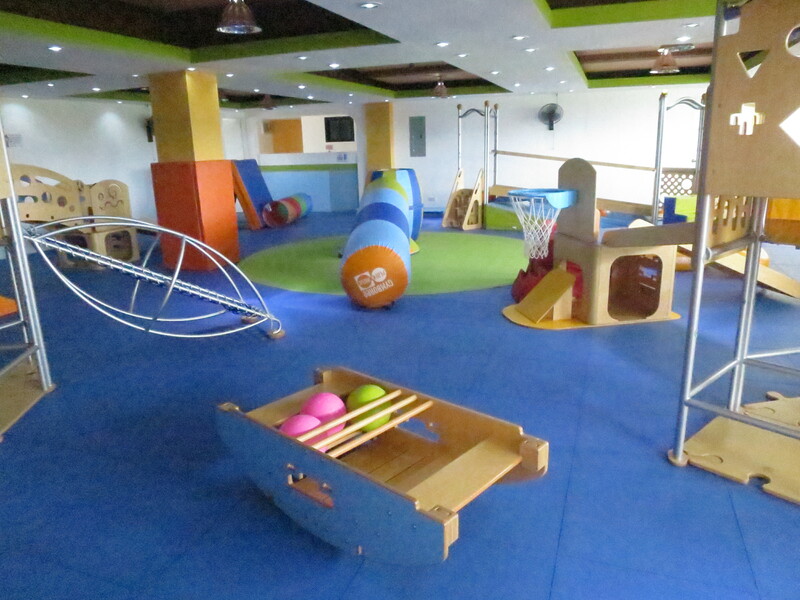 Gymboree Sta. 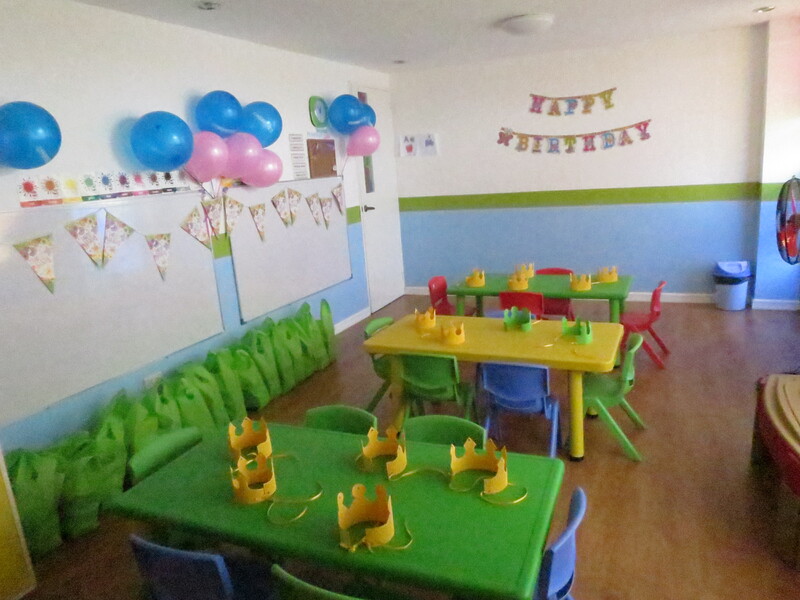 Rosa converted their classrooms into an activity room where the babies decorated their own crowns and a dining area where the children could eat in a long table while the parents have a couple of cocktail tables for them. 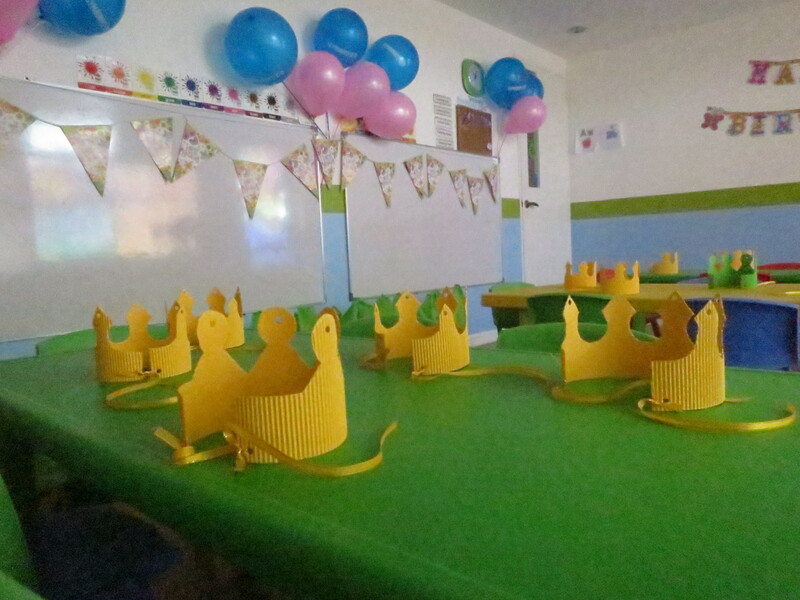 The children wore these crowns partnered with capes during their play activity in the gym area. 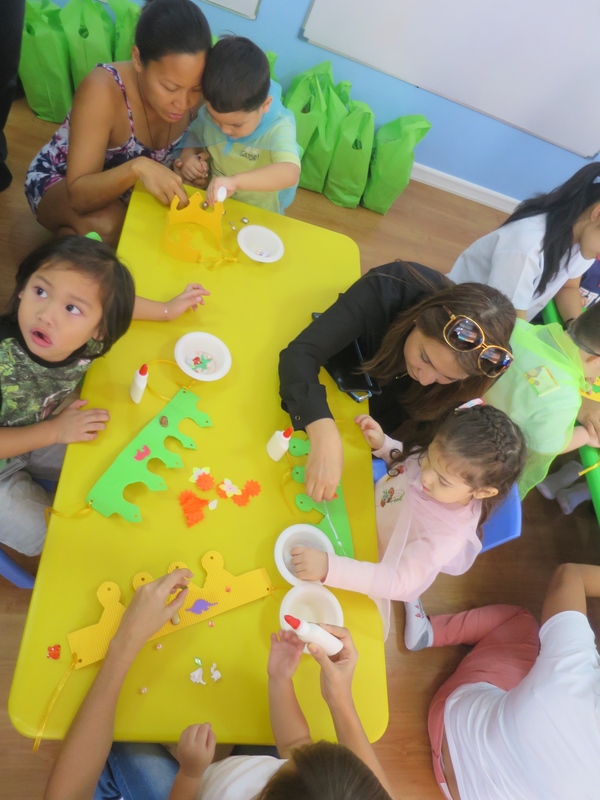 Even the parents enjoyed doing arts and crafts with their little ones. That’s what I loved about this party-the parents took seriously what I said about being prepared to be a kid for a day. They were game to play and then be creative with their children. It’s a dream birthday for me because each one of us had a chance to experience the celebration and not merely as spectators. We all danced, sang, played and had a happy rumpus time. All of us were on our feet with a variety of things to do and we had taken tons of photos throughout the non-stop action. It was as Teacher Dew, who owns Gymboree Sta. 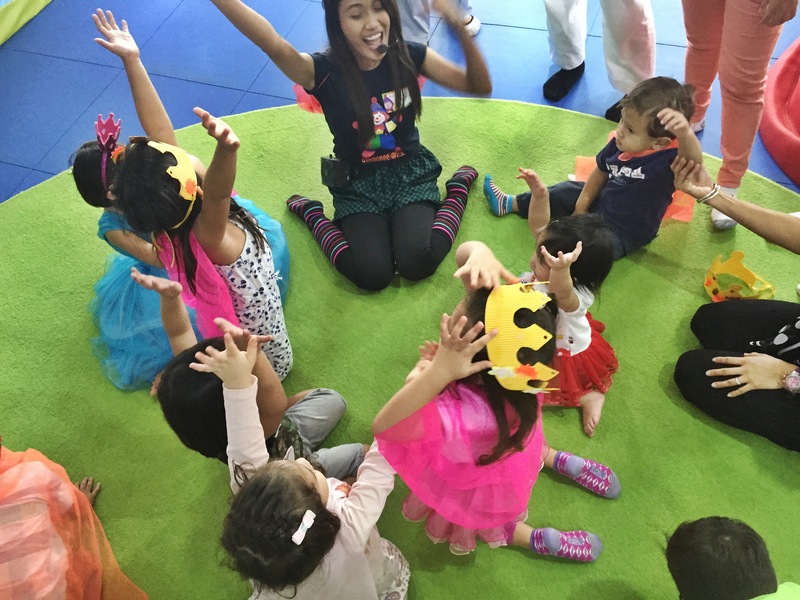 Rosa promised that there would be a lot of fun for all with their Princess Playhouse theme that included dress up intertwined with a story telling throughout the program that was embedded in the play. 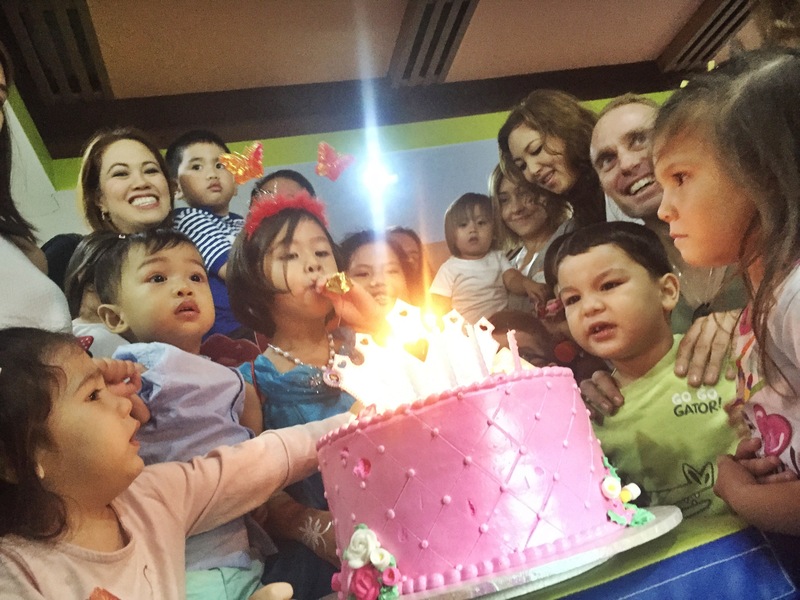 It was just the perfect set up to get everyone excited to greet Solana a very Happy Birthday ! 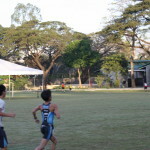 Things just fall in to place with everyone’s help. 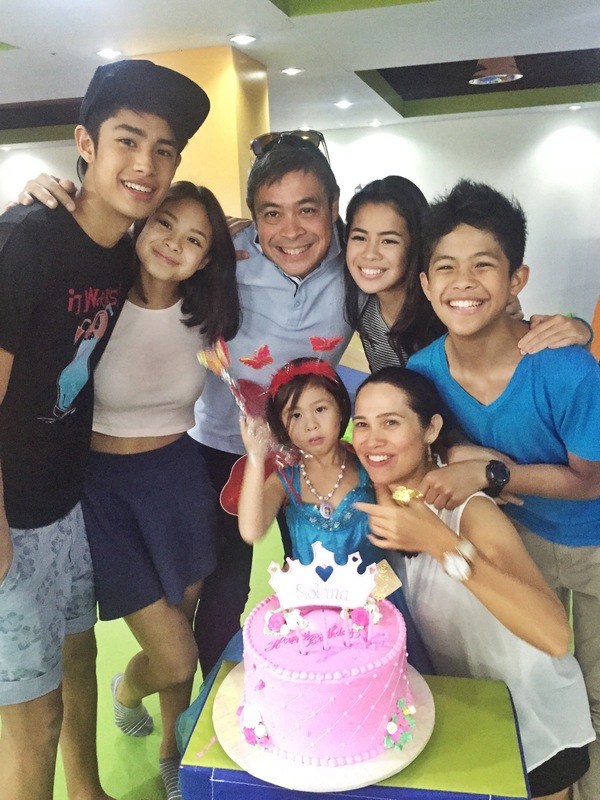 Thank you, Kuya Donny and Ate Ella for making sure the big kids (parents) were well taken care of the day of the party. 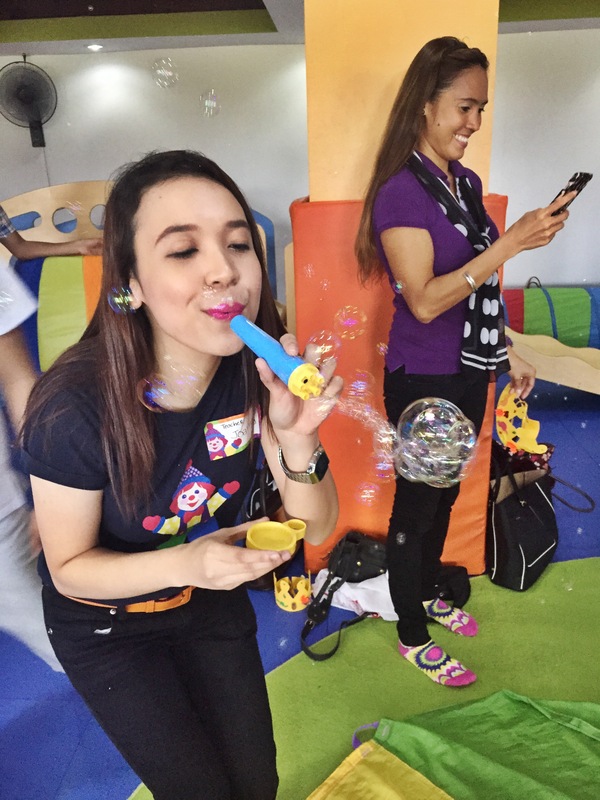 Solana can’t get over thinking about her next visit to Gymboree Sta. Rosa because she had such an amazing time and this would not have been possible without these fairy godmothers: Teachers Joanna, Rox and Dew. 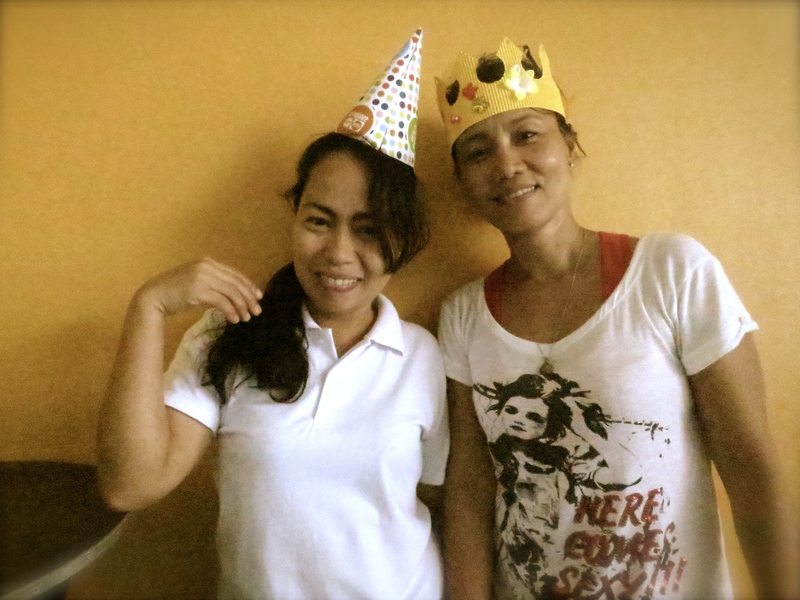 These angels made me very able to accomplish my queenly duties for the party–Yaya Grace and our dear Ate Susan (my mom’s maitre d/sidekick). So when the kids have wounded down a bit, the moms and dads had quite a bit of a chance to chat and bond in a special sort of way with some pampering in between..
Then we sent everyone off with some goodies from Gymboree Sta.Rosa and our esteemed partners like Alaska Fresh Milk family, Alcoplus and Huggies Baby Wipes -all of which are useful for the babies and their family as well. 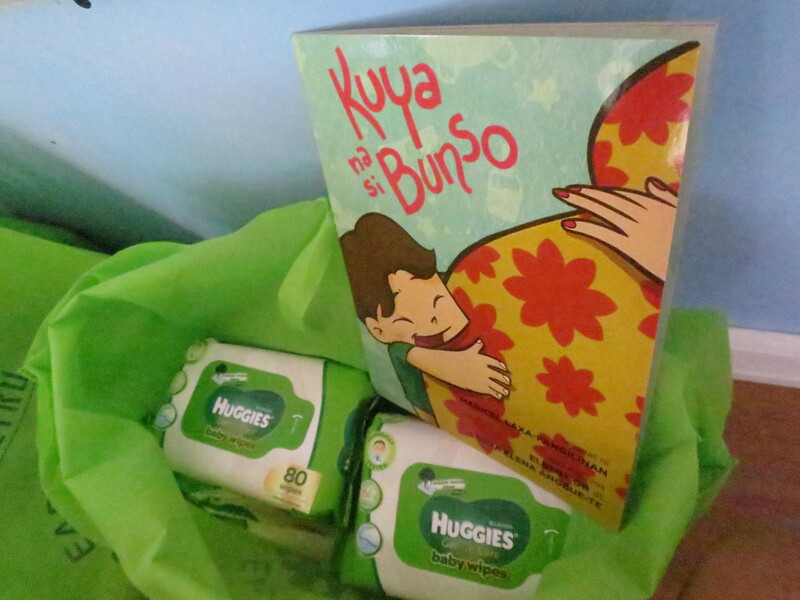 We also made sure their loot bags included a copy of Kuya Na Si Bunso which is a children’s storybook based on the story of my son, Benjamin and his sister and celebrant, Solana. Happiest 4th Birthday Solana! May you grow in good health, love and light. God bless you and your whole family. Lovely party you just had. Kisses from me and my family. Such a perfect bday celebration. 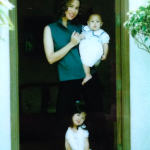 Lucky Solana for having a mom like you. 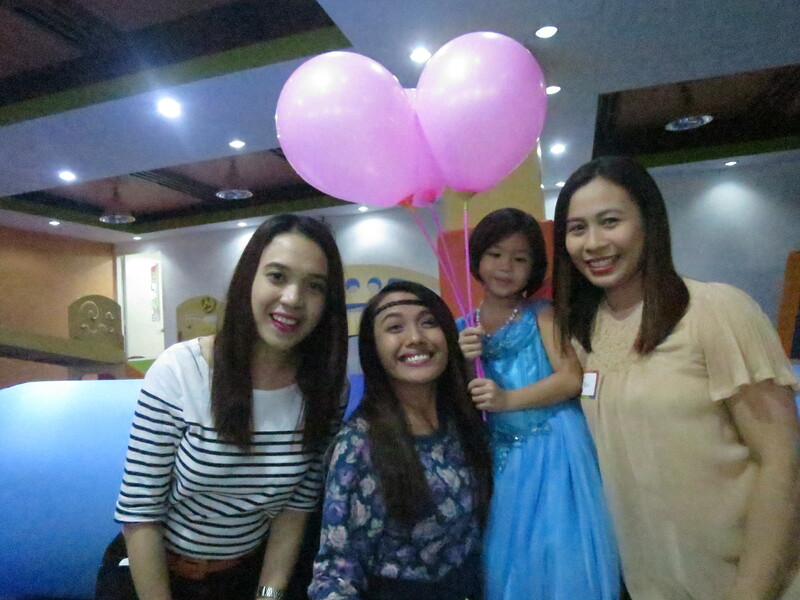 Solana’s 4th Bitthday was fantastic and genuinely done with work of Love. 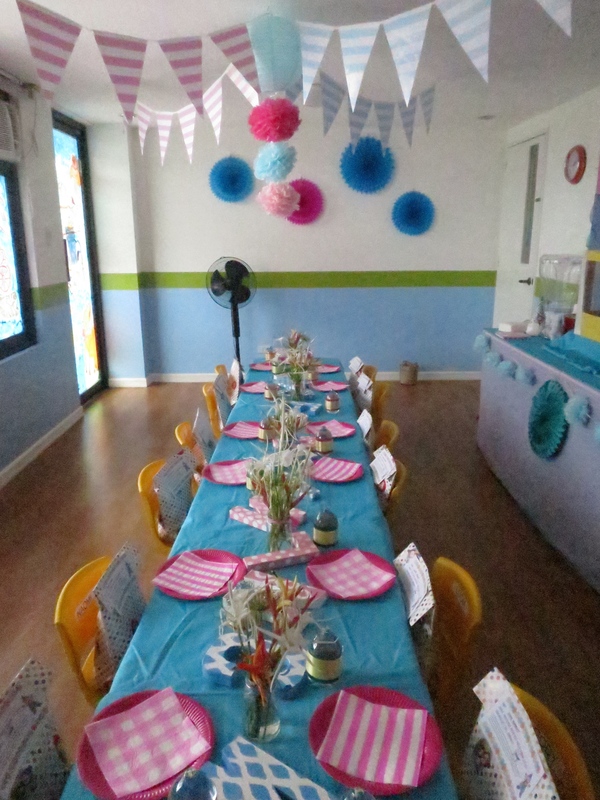 It inspires me to be more creative, do inexpensive & personalized birthday party that would bring so much Joy & Love for all the kids, parents/visitors. Great job to Solana’s amazing families and friends! We all had a blast! Thank you so much for having us!!! God bless you Solana as you keep growing so beautiful inside out. Hi ms.maricel..it’s my first to read your blog.it’s because of Solana.☺happy birthday to your little sunshine..
As I read your other posts I enjoyed reading all of them.